The immediate impact of Goods & Services Tax (GST) property buyers planning to buy ready-to-move-in properties that would be required to shell out more by about 3-4%. The immediate impact of Goods & Services Tax (GST) property buyers planning to buy ready-to-move-in properties that would be required to shell out more by about 3-4%. This is because new and under-construction properties will attract GST at the rate of 12% (excluding stamp duty and registration charges), which is higher even after considering the Value-Added Tax (VAT) levied by various states under the previous tax regime. Despite the higher tax incidence, GST will have a positive impact on property market as it will usher in higher level of transparency and discipline in the real estate sector as a whole. This is because in the previous taxation system, VAT was levied on material cost while service tax was levied on labour cost. This provided an opportunity to the realtors to conceal actual information on the cost of material and labour, thereby hoodwinking the tax authorities as well as property buyers. 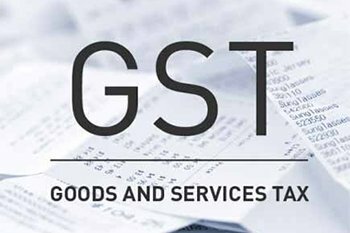 However, with the implementation of the uniform tax regime of the GST, there would be no such distinction between material cost and labour cost as builders and developers would not have any incentive to conceal any such information from the buyer or the tax authorities. The single tax regime of the GST will simplify matters for property buyers, while builders and developers would have the advantage of claiming input tax credit, which will ensure that tax is imposed only on value additions done at every stage of construction, thereby avoiding double taxation.